The performing arts have a starring role in Commissioner Mary Lyle’s life. 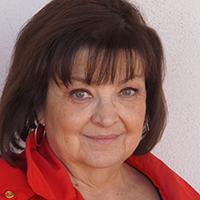 She holds a BFA in theatre arts from the University of New Mexico, taught theatre and speech at the University of the Southwest and New Mexico Junior College, acted in and directed many plays, created the Summer Children's Performing Arts Camp in Hobbs, and is vice president of the Community Players of Hobbs. Lyle is Education and Events Coordinator for the Western Heritage Museum Complex and Lea County Cowboy Hall of Fame, and a founder, president, and board member of the Lea County Commission for the Arts.